I did it! I finished Beloved. It wasn’t easy, but I did enjoy my time reading it. It’s an intricate book with a complicated story, but it’s one worth reading. So far, I’m also enjoying this book, but I’m probably not going to be able to read it quickly. I have to read the pages a little slower than usual to grasp the intricacies of Achebe’s words. This entry was posted in books and tagged Chinua Achebe, literary fiction, weekly reads. Bookmark the permalink. 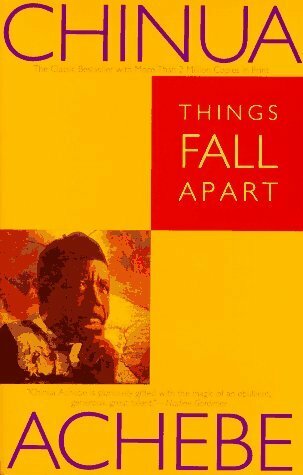 Things Fall Apart is very powerful, but I agree that it’s not a quick read! Have a wonderful week! Now I’ll feel better about being slow! I hope you have a wonderful week as well. Beloved was good, and I’m hoping for the same from Things Fall Apart. Have a good week!